When you’re taking a once in a lifetime trip to the Galapagos, you want to make sure you’re seeing it at its best. Luckily, due to the Galapagos’ idealistic island weather, there’s really no wrong time to visit. If you can consider traveling to Galapagos during the Fall months of the northern hemisphere, here’s the top 10 reasons why the Galapagos Islands are amazing in the fall. 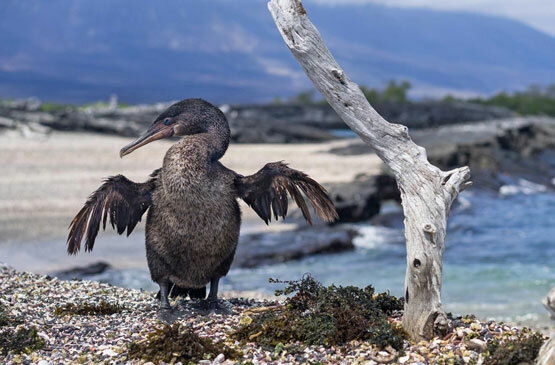 Although Galapagos is great year-round destination, there are a few months of the year that we like to call the “secret months” because they offer visitors some key advantages over other months when it comes to weather and wildlife. The secret months are September, October, November and the beginning of December. Between July and November, the presence of the Humboldt Current in the Galapagos is strong. If you love to snorkel, you absolutely must visit Galapagos in the fall. The Humboldt Current is strong and that means the nutrients in the water are more abundant than normal. The extra nutrients make the marine life more active, meaning you will get more out of your snorkeling experience! Learn more here ---> The Top 10 Snorkeling Sites in Galapagos Islands. High season in the Galapagos generally runs from mid-December to January and June to August each year. After August, most children are back in school and you will find less families traveling to Galapagos in the months of September, October and November. The seasons in Galapagos have nothing to do with weather, but with the holiday periods around the world. Therefore, if you can travel outside of these of these months to experience the Galapagos in the fall, you’re more likely to have a quieter and more natural experience of the Galapagos. 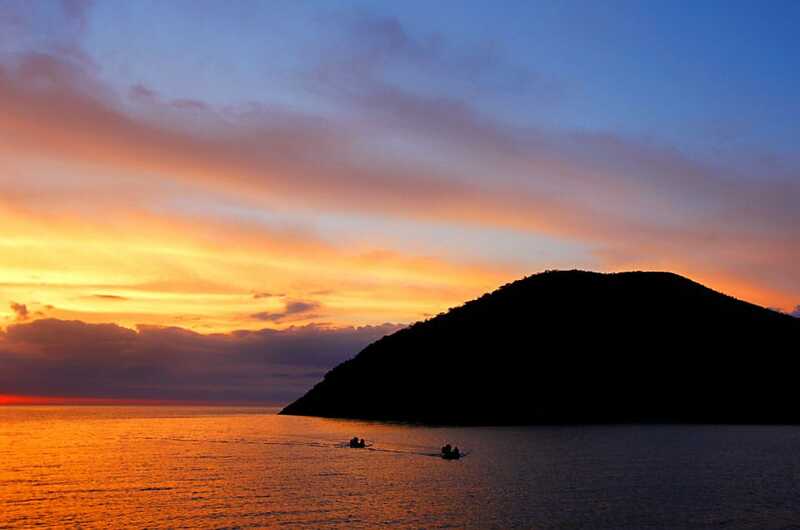 As you cruise across to Fernandina Island, keep an eye out for dolphins and whales. You normally have to pay top dollar for a whale-watching or dolphin tour, but that’s not the case when you take part in a Galapagos cruise in the Fall. In fact, you can expect to spot whales when crossing over to Fernandina Island into the Bolivar Channel. Just grab a spot on the deck or your balcony and check for whales and/or dolphins when you visit Galapagos in the fall. While the Galapagos enjoys quite moderate temperature variations throughout the year, the main difference in climate comes between the wet and dry seasons. And, if you’re traveling to the islands from September into early December, it’s perfect time to enjoy drier days with warm, but not too hot, temperatures. Expect daytime highs to range between 66 and 79°F (19 and 26°C) with the water a pleasant 72°F (22°C). 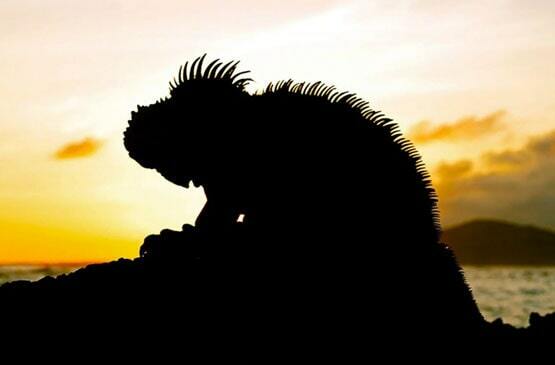 Learn more here ---> Galapagos Weather. If swimming with sea lions and even their pups is on your bucket list, then fall is the best season to do it. As pups develop, they love playing around humans in the shallower water and may even nip your fins as you snorkel nearby. During November, you might also see impressive courtship displays as mature sea lions mate. Whether you’re a professional or just want an Instagram worthy picture, fall in the Galapagos is possibly the best time to take incredible landscape photos. Less rain and a backdrop of light clouds provides excellent lighting conditions to truly capture the magic. You’re also more likely to be able to get close to nesting wildlife for amazing animal close-ups. 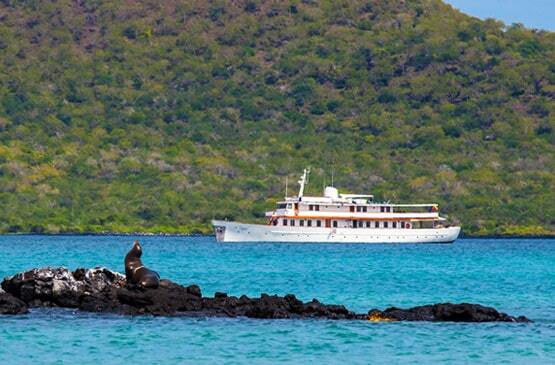 Learn more here ---> Galapagos Photography Cruises. Seeing a giant Galapagos tortoise is on the ‘must’ list for almost every traveler. But, visit between June and December and you might be fortunate enough to witness giant tortoises laying eggs in the wild on Santa Cruz Island. During September of every year, penguins are usually at their most active in the Galapagos. You’re likely to spot them while you’re snorkeling and diving as well as on the shore-fronts. 9. Watch Seabirds, Especially the Blue-Footed Boobies, Dance! 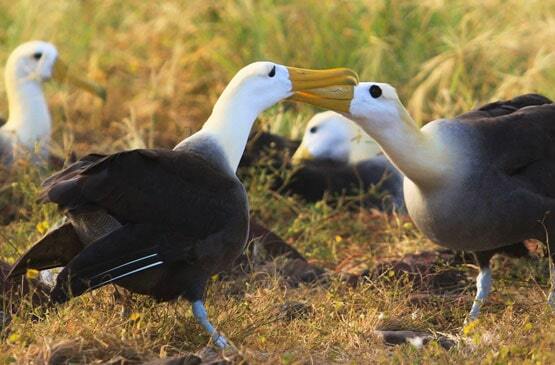 In the Galapagos in the fall, many Galapagos seabirds nest on the islands, allowing you to get a little closer as prospective mates show off with impressive rituals. 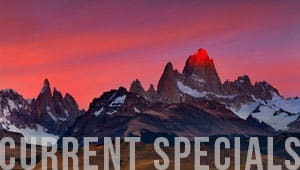 Some of the breeds you can expect to see include blue-footed, red-footed and masked boobies, waved albatrosses and both magnificent and great frigate. Have you ever seen blue-footed boobies mating dance? The male birds do a high-stepping strut to attract females, and it is a sight to see! Between June and November whale sharks migrate to the islands, offering visitors an unforgettable experience. While you might see one of these enormous, docile fish snorkeling, you’ll increase your chances greatly by joining a trustworthy diver operator. If you want to enjoy these top 10 reasons to travel to the Galapagos in the fall, be sure to look at our Galapagos fall and winter specials. With enjoyable weather, fewer visitors and an incredible display of the wildlife you came to see, there’s no time like right now.